The Garbageman Of The Year Award. The most prestigious title a citizen can achieve in this wasteful world. As the trash produced by the world grew more and more abundant, society placed more and more value on the efforts of garbage men and women, previously the world’s most thankless job. Soon they were praised more than the biggest artists or sports players, idolized as true middle-class heroes. With this, many set out to pursue their career as a sanitation engineer. To follow their dumpster dreams. You, Jim, hope to prove to the world that you have what it takes to be the best who ever lived. But there is only 30 days left until the Garbageman Of The Year Award is given to the best, do you have enough time to make your mark on the world? 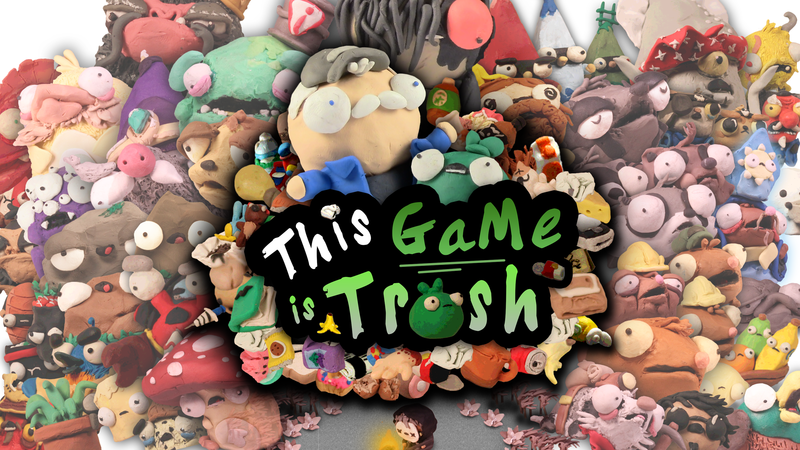 This Game Is Trash is an open world action adventure game in the same vain as something like the old Zelda games, but with added elements of some of my other favorite game series like Pikmin and Paper Mario. The game works on a day system, where you are given a limited amount of time each day to explore, fight, collect trash, interact with characters, or whatever you decide to do! It’s a story about the ability any given individual has to become great at what they want to do, and (perhaps more importantly) whether or not they really should. Meet friends, plan out your days in a world where every second counts, stop the evil White Trash organization and fulfill your dumpster dreams!